The Soul Tree reminds us to see with our heart instead of our eyes. By seeing the world from the place of our soul we can sense our interconnectedness with everything. We are no longer separated by stories we hold in our minds but by what we feel in our hearts. Knowledge gives way to wisdom when seen from the perspective of the soul. The ancient story of Adam and Eve in the Garden of Eden is a mystical tale that separated humans from knowing themselves as God, the infinite One. This singular story represents a wound referred to by some as original sin. It is a story many are still healing today. 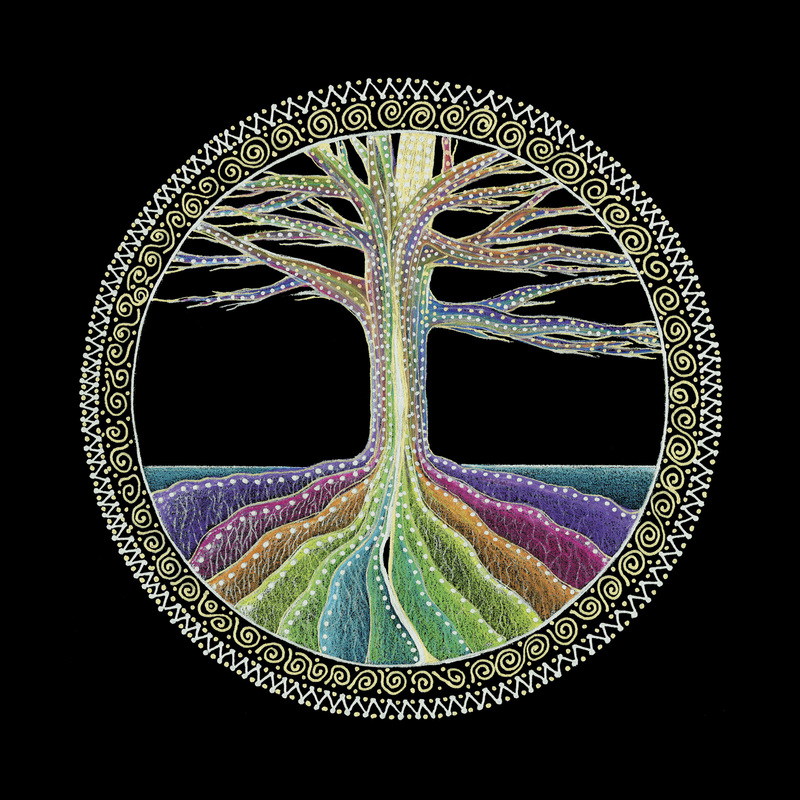 The Soul Tree reminds us that the mythical Tree of Life and the Tree of Knowledge are one. They reside within us to help us step out of judgment and live from our hearts. The Soul Tree helps us see our soul’s infinite nature. Over the course of human existence mankind has created Gods and Goddesses beyond themselves as a way to reflect their own desires and dreams. These are actually projections of our humanity onto the universe. There are over 1000 names for God. When we see that we are all the names and faces of God, we can begin to heal the stories that separate us by honoring all of the cultures that created us. Message: Look deeper into the roots of your present situation to uncover hidden powers that will help you move forward. Know that you are not alone as you consciously decide what feels right to your soul.